All members enjoy a comprehensive CPD programme comprising of 14 x 2 hour webinars covering audit, accounts and tax related subjects which are designed to meet the needs of all fee earners in general practice. 2020 provides innovative training and marketing solutions for progressive accountants and tax professionals worldwide. We recognise that firms need to constantly improve their client proposition including the use of new technologies to become ever more competitive and efficient. Members receive support in areas such as MTD and new technologies. 2020 provides comprehensive CPD training in audit, accounts and tax related subjects. We use some of the best CPD speakers in the country and update the programme based on member feedback. 2020 Innovation have 1000 members and provide unlimited training and support for all your fee earners. 2020 support approximately 25% of all UK accountancy firms and members receive support in areas such as GDPR, MTD and new technologies. CPD WEBINARS AND SEMINARS – All members enjoy a comprehensive CPD programme consisting of 14 x 2 hour webinars covering subjects such as audit, accounts and tax related topics which are designed to meet the needs of all fee earners in general practice. AUDIT WEBINARS – The webinar series focuses on key auditing standards, to consider when auditing various areas if the financial statements and the challengers auditors face. FCA WEBINARS – The FCA Update webinars are designed to refresh delegates on the FCA regime and to ensure they are up to date with all the latest FCA developments and rule changes. 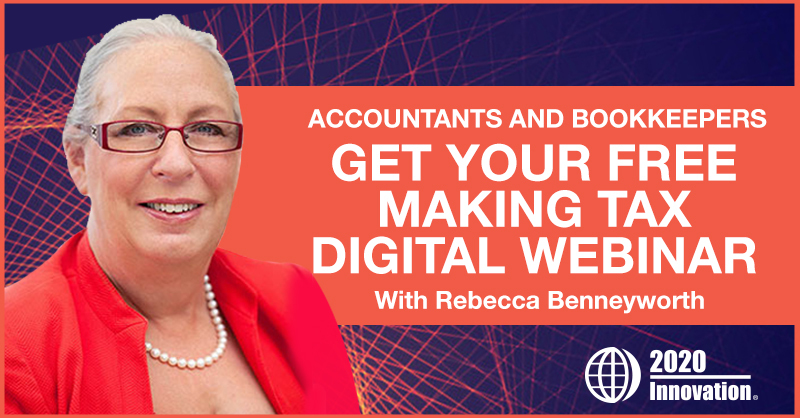 INTERNATIONAL TRAINING WEBINAR PROGRAMME – A series of 22 x 1 hour webinars, designed to keep auditors, accountants and tax professionals up to date with international tax, accounting and practice management issues. TAX UPDATE WEBINARS – All fee earners get access to 10 x 1 hour tax updates presented live by Martyn Ingles throughout the year and these are recorded so you can watch at your convenience. Notes and slides are available for download. We have been using the services of the 2020 Tax Protection scheme for a few years now and have found them to be an excellent company to liaise with. Their claims team are helpful, friendly and efficient and the whole process is easy to use. We are looking forward to continuing our relationship with them for the long term. Helpful, full of new ideas, concepts etc.